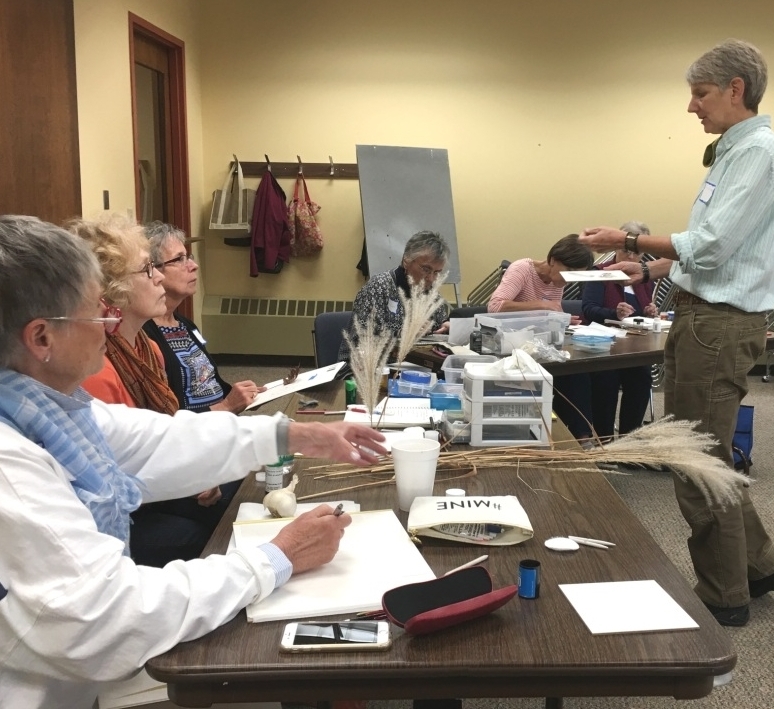 Professional science and nature illustrator Carlyn Iverson offered us a short introduction to carbon dust last January at the Raptor Center, where we used bones, claws, feathers and other natural objects as subjects for our practice. “Carbon dust” is a technique in which powdered graphite is applied to a prepared surface with dry brushes to create the illustration. The technique is widely used among medical and scientific illustrators. 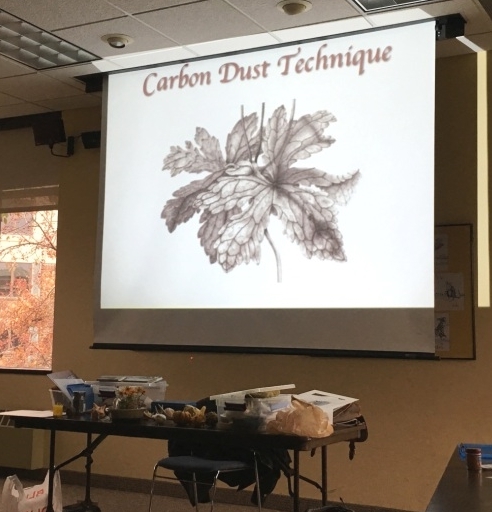 After positive feedback on the January session, Carlyn agreed to do an expanded carbon dust workshop for GRC members. 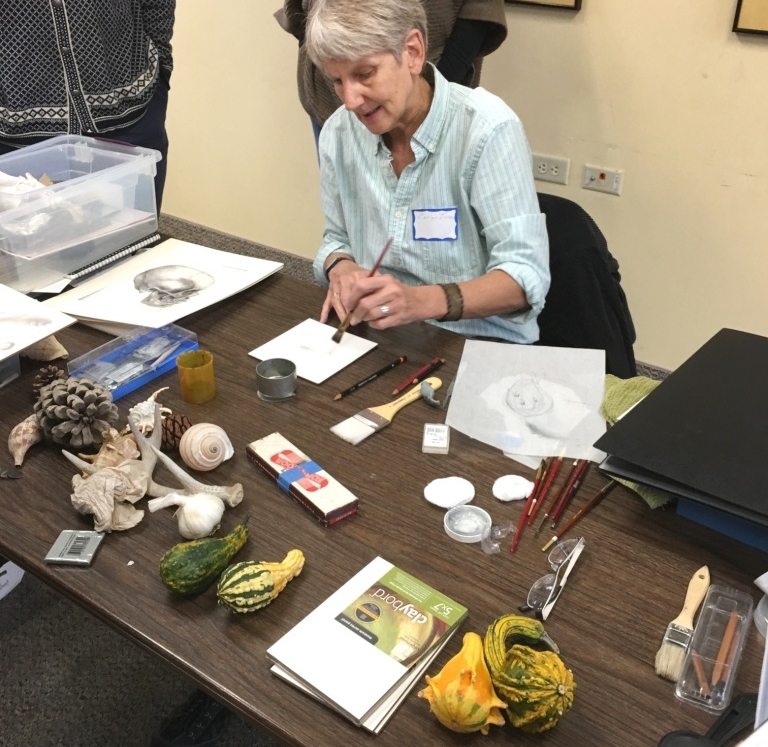 This time, with leaves, vines, branches, blossoms, berries, and seed heads, our focus was more botanical. The longer session allowed us to get into the medium in some depth. Carlyn talked about practices and specific tricks for working with this medium, and illustrated many of her points with visuals. The classroom was full and as amazing artworks evolved, we’d say it was a few hours well spent.